Sure you have Langkawi and Penang islands on the west coast offering dose of beach and Malaysian culture. The thing that you should know is that east coast of the Malaysian peninsula has also gems to offer. You have the Perhentian, Redang, and Tioman Islands as quick island getaways for local and foreign tourists alike. Late arrival in Paya Village provided this stunning sunset. 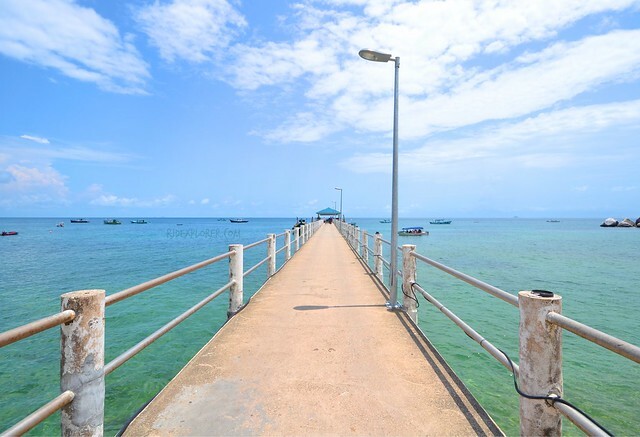 Tioman Island is located in the Malaysian state Pahang, though most people consider it to be part of Johor because of ferries from Mersing. The island is blessed with majestic underwater treasures having around 200 species of corals making it a diving destination in the country. Apart from that, the island covers a total area of 134 square kilometers and home to stunning landscapes such as beaches, swamps, and virgin forests. 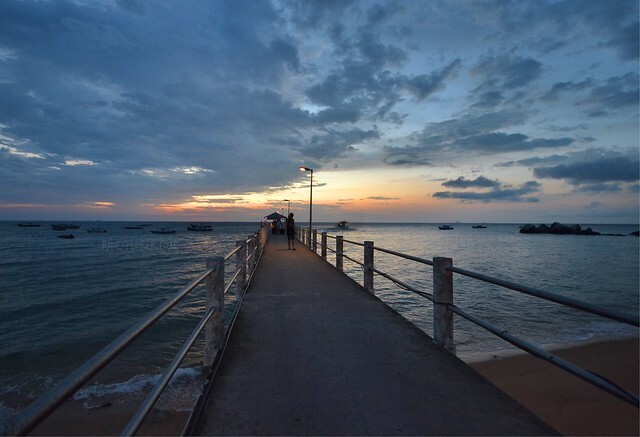 Tioman Island is also a duty-free zone making it a shopping destination for tourists. There are seven villages in the island and the ferries coming from either Mersing and Tanjung Gemok drop at each village to unload and load passengers. One of the villages in the island is Paya Village, usually the second stop of the ferries. 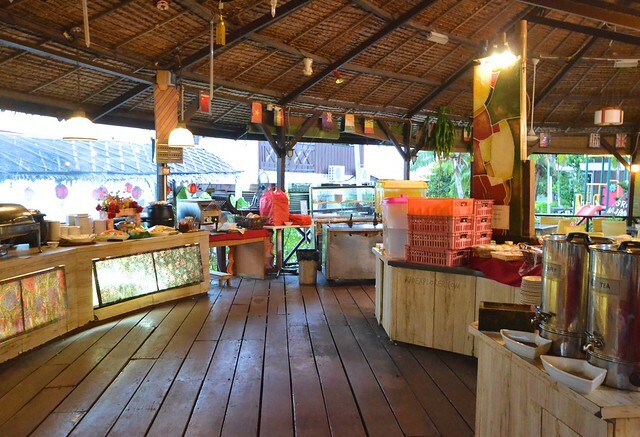 The small community has diving centers, restaurants and cafes, and a prominent beach and diving resort, Paya Beach Resort. 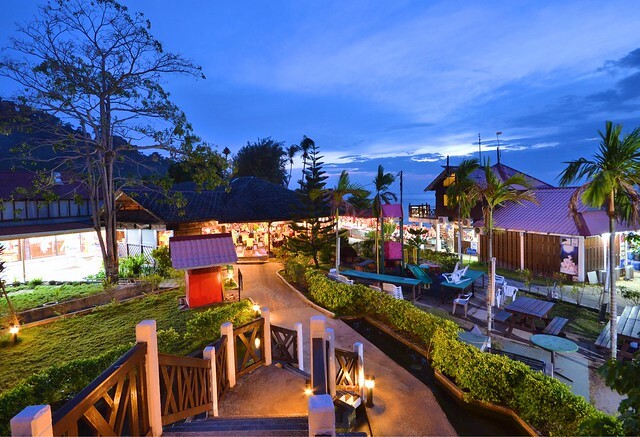 Paya Beach Resort during sundown. 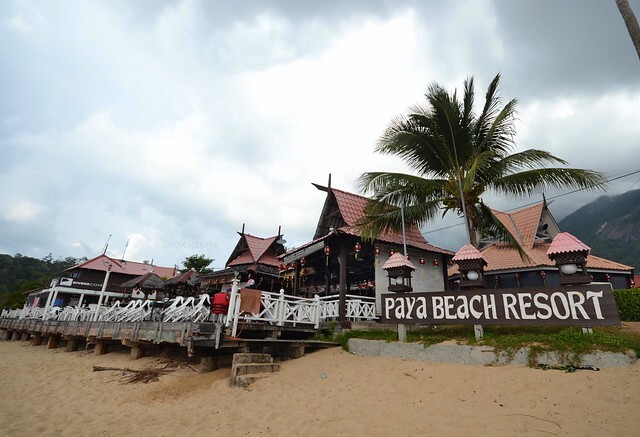 Paya Beach Resort boasts chalets, beachfront rooms, and suites on a few hectare property. The resort offers packages that already covers the accommodation, food, and activities while in the island. Rates depend on the length of stay as well as the number of persons traveling. Cheapest rate available is at MYR399 per person for a 3D2N Pulau Tioman package. Rooms are quite reasonable for the rates the resort offers. Two queen-sized beds, each having four plushy pillows, in a more than usual spaces resorts provide. There’s a television but channels are also limited, glad they had HBO where I binged watching box-office movies. The superior chalet room has a coffee and tea making facility but you need to buy water if you’re planning to enjoy some cups of coffee. There’s also a small balcony where you can spend lazy hours and dry your wet clothes. Additional room conveniences include universal power sockets and a phone. 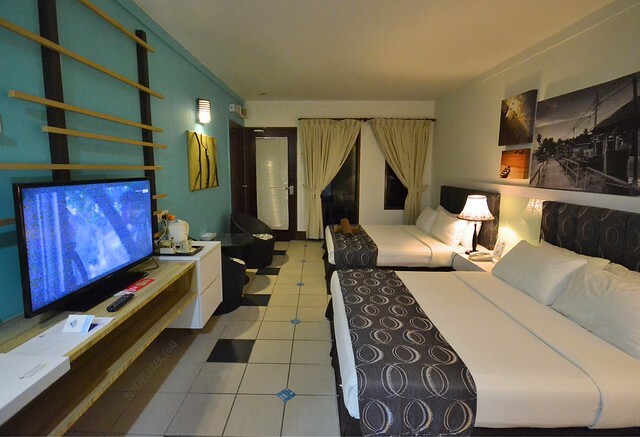 Paya Beach Resort’s Superior Chalet Room. The property has two areas for their room accommodations. 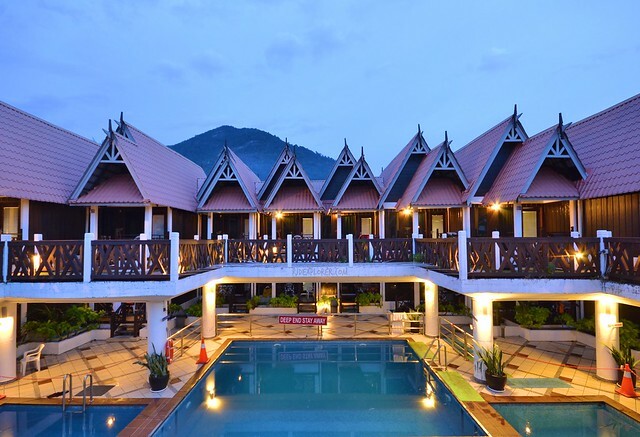 Near the resort’s entrance are few deluxe chalets and standard beach front rooms, at the back are few lodges, and surrounding a pond is the standard chalet rooms. On the other side, enclosing the swimming pool, are the superior chalets and deluxe suite beach front accommodations. 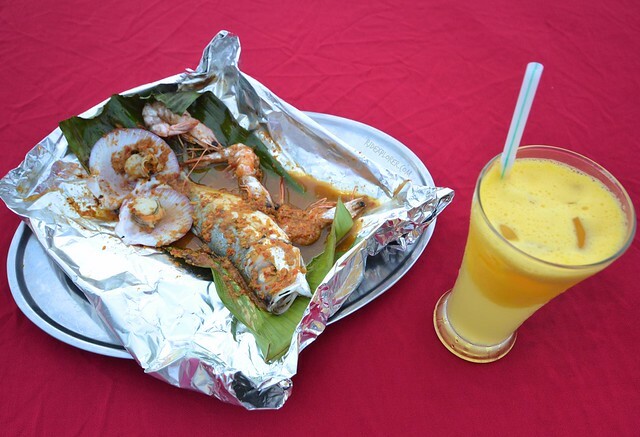 Since I had the full board Tioman Island package, meals during my stay were covered. All meals are buffet style and have 3-4 viands, soup, fruit and salad section, bread and pastry, juice, and coffee and tea (for breakfast). I availed my first dinner at the buffet and because I arrived at the island around 7:30 PM, one of the viands was already finished and wasn’t refilled. Food was good but they still have rooms for improvement. Default buffet area for the full-board packages of the resort. For the breakfast, for the two mornings I’ve tried the buffet, it was nice to see a different set of food served. The loaf bread, even not toasted, is also one of my favorites on the breakfast spread. 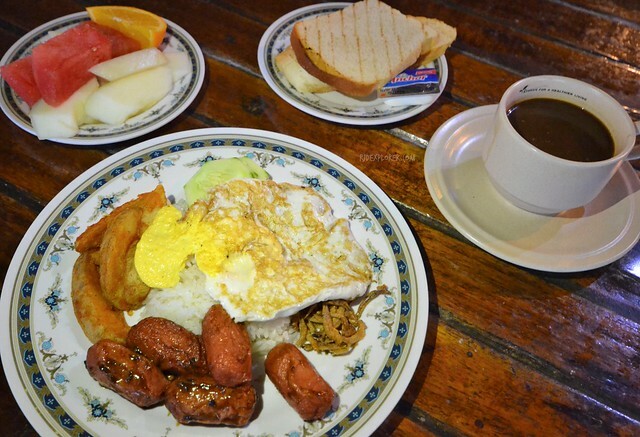 Sausages, fried eggs, toast, fruits, and coffee for breakfast. Lunch is simpler than dinner. The spread only had three viands: two types of meat and one sautéed vegetables. I’m good with that but I hoped they added more options given that guests just came back from a tiring snorkeling tour. Nonetheless, tired and hungry people can easily be satisfied with any meal. Steamed fish, scallops, and shrimp on chili sauce and a glass of freshly-squeezed orange juice. For my second day, I tried the Beach Club’s Bar and Grill dinner. 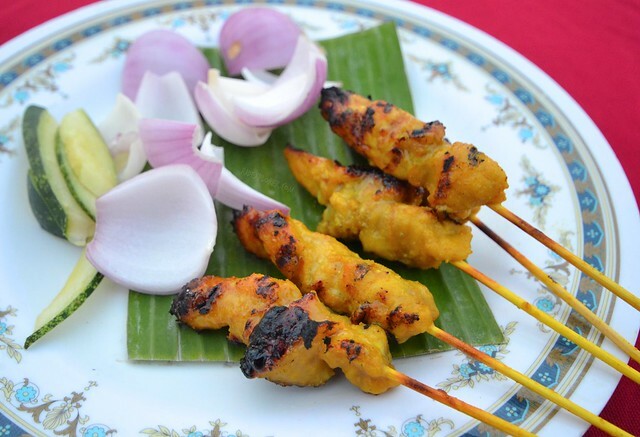 Unlike the other one, the restaurant serves plated sets of squid, fish, scallops, shrimp, chicken satay, and others. The regular servings of the seafood are good for six people but the crew gladly accommodated me even when I was alone. For me to taste everything, they created a customized meal that consisted of a fish, scallops, and shrimp steamed in chili sauce, a plate of well-seasoned stir-fried squid and beans and 5 sticks of tender chicken satay. It was served with a refillable steamed rice and a glass of freshly squeezed orange juice. It was a great meal while watching the sunset by the beach. Included in the basic package is a half-day tour on your second day at the resort. No need to pay any amount if you availed a full-board package from them. Just inform them to include you on the tour list when you check in. Snorkel masks and life jacket are provided for free and a tour guide will join you on the tour. Since most guests avail the full board package, expect that it will be a big crowd especially on weekends. The group leaves at exactly 9 to the jetty port for the boats. 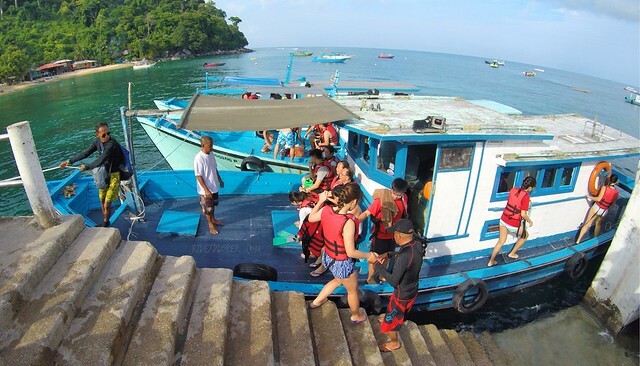 Though large crowd, the group will be split on several bumboats and the crew ensures that vessels are not too crowded. If I remember, we were only nine on our boat and it can still accommodate 5-8 more people. A 30-minute ride brings the horde to Ringgis Island, more of an islet, as the first stop of the tour. First destination didn’t disappoint as there were a lot of fish of different kinds, colors, and sizes. The moment I got into the water, school of fish already approached me thinking that they can get some bread. Too bad I forgot to sneak some from the buffet breakfast. Thankfully, other members of the group filled their water bottles and squeezed bread in the sea. I know it’s not sustainable but the fishes were so giddy to collect every piece of bread thrown at them. One of them even photo-bombed me on one of my photos. 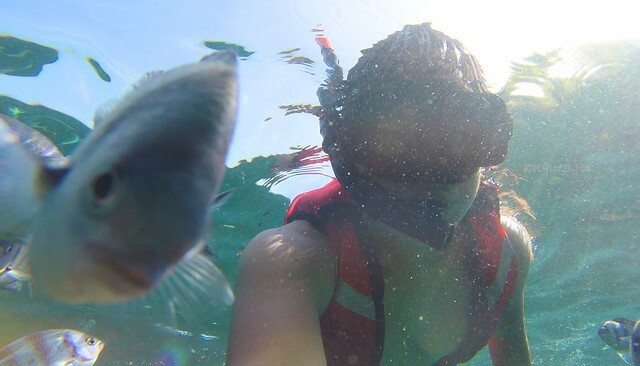 Second and the last stop of the snorkeling tour is the Tioman Marine Park. 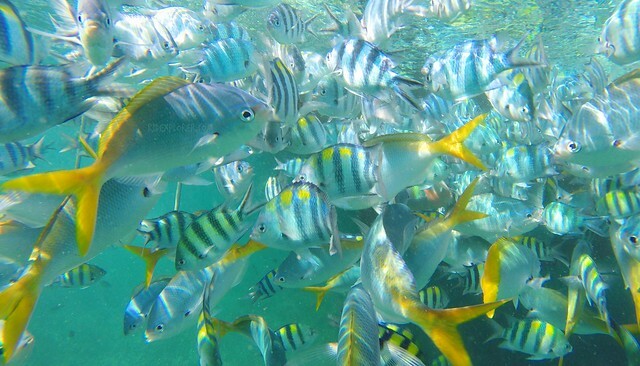 Not that great than the first one with corals and colorful fishes, but the snorkeling spot is home of big fishes that are about a foot in size. 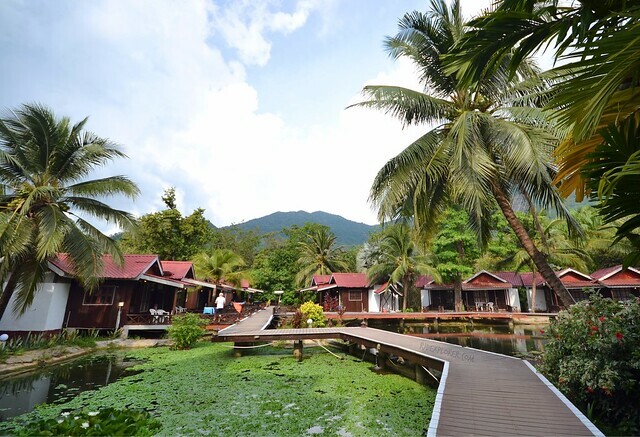 Diving, swimming, guided forest walks, and swamp tours are other activities you could do while at Paya Beach Resort. The guided walks are usually scheduled at 3 in the afternoon, just ask the front-office or the activity center for availability of tour. If you’re too lazy for these activities, you can bring your beach towel and bask under the heat. Right next to their beach bar is a sun-deck for some sunbathing needs. 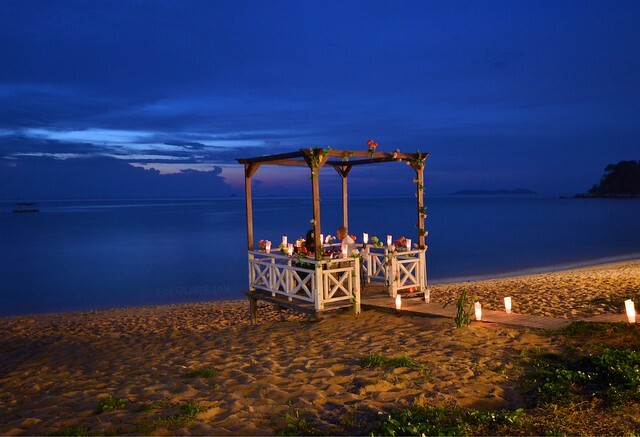 Romantic dinner by the beach? The resort can do it for you! The visit to Tioman Island was indeed a short one and I would agree that a weekend is not enough. Not that there are tons of places to visit but the laid back atmosphere of the island is just perfect for longer stay. Internet connection is not that strong in Paya Village making it a nice time to have social media detox. 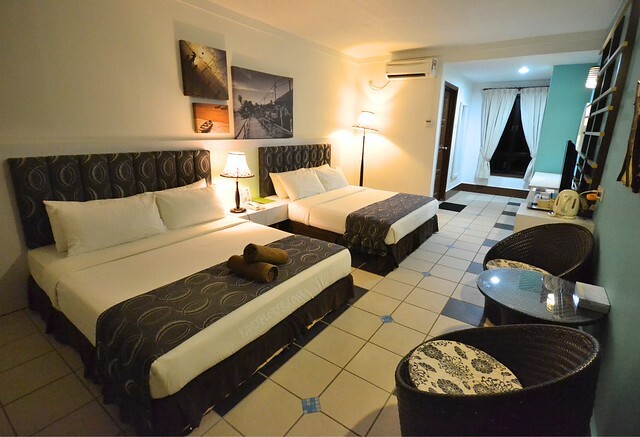 On your stay, make Paya Beach Resort your home in the island and they will ensure that you’ll have a great time. 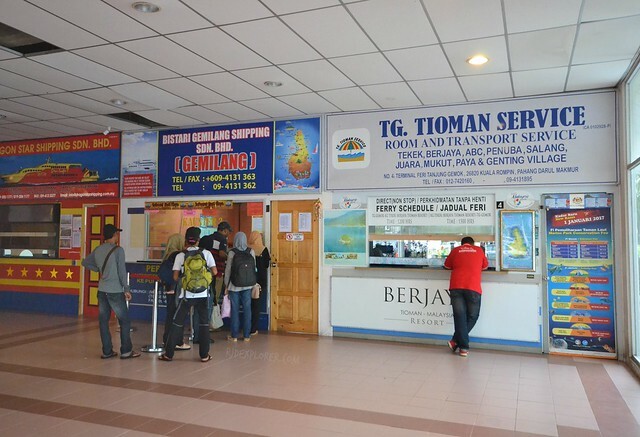 You can reach Tioman Island by ferries from Mersing and Tanjung Gemok Ferry Terminals. The boat ride is around 2 hours depending on the waves. Roundtrip ferry is at RM70 and that excludes the environmental fee, RM25 (Tanjung Gemok) or MYR25 (Mersing) for non-Malaysians and MYR15 for Malaysians. Ticket booths at Tanjung Gemok Ferry Terminal. Paya Beach Resort staff will send you the ferry schedules once you confirmed your stay with them. They can also book you a roundtrip ferry ticket upon validating your time of arrival at the ports. Ferry schedules depend on tides and change even on the last minute. The resort crew is honest enough to update you if ever there are slight changes on your schedule.